NATO defense ministers meeting in Brussels Thursday gave their final approval to the expansion of the Enhanced NATO Response Force to 40,000 troops as part of a major escalation of the US-led alliance’s military buildup against Russia. The NATO ministers, including US Defense Secretary Ashton Carter, seized upon Moscow’s airstrikes in Syria against Islamist militias seeking the overthrow of the government of President Bashar al-Assad as the pretext for more aggressive deployments of military forces on Russia’s border. In particular, Washington and its NATO allies have sought to turn a pair of alleged brief incursions by Russian warplanes across Syria’s northern border into Turkish airspace last weekend as an effective act of war. “NATO is ready and able to defend all allies, including Turkey against any threats,” NATO’s Secretary General Jens Stoltenberg told reporters as he entered the meeting. He added that NATO was prepared to deploy troops to Turkey and had already taken steps to increase the alliance’s “capacity” and “preparedness” to do so. The magnification of the alleged violations of Turkish airspace into a confrontation between Moscow and the Western alliance has been driven mainly by Washington with the aim of ratcheting up the campaign against Russia. The government of President Vladimir Putin has insisted that the violations of Turkish airspace were accidental, a claim that has been rejected by Washington and NATO. The reality is that the Islamist militias, including both ISIS and the Al-Qaeda-affiliated Al-Nusra Front, operate in close proximity to the border with Turkey, which serves as their pipeline for funds, arms and foreign fighters. Moreover, Turkey has itself treated its border with Syria as something quite malleable. Since 2012, when a Turkish warplane was downed by a Syrian missile after it flew into Syrian airspace, Turkey has unilaterally declared a five-mile buffer zone, reserving the right to shoot down any target within that distance of the Turkish border that it regards as hostile. Turkey itself, meanwhile, routinely violates its neighbor’s borders, carrying out bombing raids against Kurdish camps inside Iraq and launching air strikes against Syria, without the permission of either country’s government. The buildup was initiated in the wake of the crisis that erupted in Ukraine in February 2014, when the US-backed coup in Kiev ousted President Viktor Yanukovych and brought to power a far-right, ultranationalist regime subservient to Washington and the European Union. This provocation along with the dramatic expansion of US and NATO to Russia’s western borders has dramatically elevated the threat of a military confrontation between the two main nuclear-armed powers, the United States and Russia, with catastrophic implications for the entire planet. This danger has only been exacerbated by the civil war in Syria, which was instigated by Washington and its allies in an attempt to effect regime change and install a US-puppet government in Damascus. With Russia’s intervention, the possibility of an incident bringing US and Russian warplanes into a deliberate or unintended confrontation has only heightened the threat of war. US Defense Secretary Carter complained bitterly at the NATO ministers’ meeting about Moscow not having given Washington any advance notice before it launched 26 cruise missiles against targets in Syria from Russian warships deployed in the Caspian Sea, more than 900 miles away. Much of the denunciations of Moscow’s military actions in Syria center on their being aimed at, in the words of Carter, “targets that are not IS [Islamic State of Iraq and Syria].” This description of what the targets are not, rather than what they are, is typical of US and NATO officials. It is meant to obscure the fact that Washington and its allies are objecting to Russia conducting airstrikes against Al-Nusra and other Al-Qaeda-connected Islamist militias, with which the West is operating in a de facto alliance. 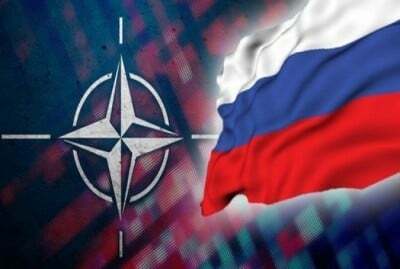 In addition to the move to field the 40,000-troop NATO Response Force, the meeting in Brussels took a number of other actions meant to step up pressure and provocations against Russia. The NATO ministers moved to add two new military headquarters in Hungary and Slovakia, in addition to six others already planned in the Baltic states of Estonia, Latvia and Lithuania as well as in Bulgaria, Poland and Romania. Each of these headquarters, known as NATO Force Integration Units, is to have about 80 military personnel and is being put in place to plan and prepare for the rapid deployment of large numbers of NATO troops. In addition to Syria and NATO escalation in Eastern Europe, the ministers’ meeting discussed the situation in Afghanistan, where the recent fall of the northern city of Kunduz to the Taliban has exposed the fragility of Washington’s Afghan puppet regime and its security forces, which the Pentagon has spent some $65 billion training. Defense Secretary Carter asked for “flexibility” in terms of the withdrawal of some 6,000 non-US NATO troops presently deployed in the country. The US commander in Afghanistan, General John Campbell, testified for a second time on Capitol Hill Wednesday, arguing against the previously stated timetable for withdrawing all but 1,000 US troops by the end of 2016. There are presently 9,800 US troops in the country.